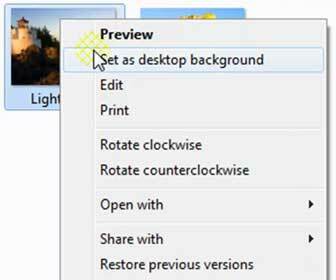 Adding or changing the desktop background picture in Windows 7 and Vista is fairly simple once you learn how to do it. You can set any image you find on the Internet, your digital camera or cell phone as the desktop background. You just need to find a way to get that image on your Windows computer. [adblockingdetector id=”2″]NOTE: The Windows 7 video tutorial below can be adapted for Windows Visa (all versions) users. The method of changing your desktop background image has not changed between the two operating systems.